Why did W.B. Yeats want a hair from the head of Aleister Crowley, and how did the artist Althea Gyles get it for him? What was the terrible lesson learned by scholar and demonologist the Reverend Montague Summers? 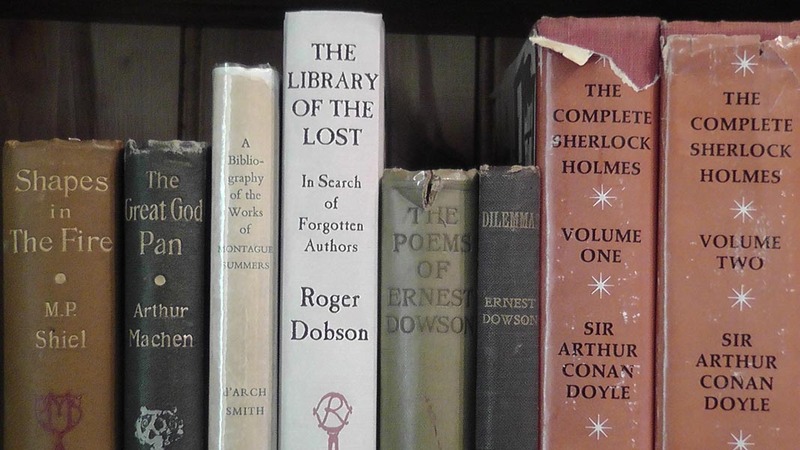 Why was Sherlock Holmes reticent about his college years? Which unlikely chronicler of the decadents numbered among his friends Christine Keeler, Sir Oswald Mosely, Colin Wilson and an assortment of beat poets? 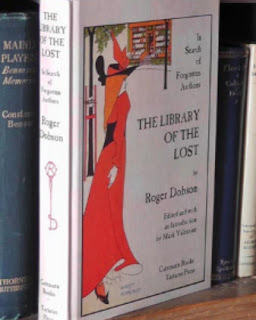 The answers are to be found in The Library of the Lost by Roger Dobson, just published by Tartarus Press and Caermaen Books. This finely produced volume offers twenty illuminating essays on classic authors of the fantastic such as Arthur Machen, M. P. Shiel and Jocelyn Brooke, and such strange and outré figures as the Reverend Montage Summers and the artist Althea Gyles. There is a foreword by the eminent Spanish novelist Javier Marias reflecting on his friendship with the author. 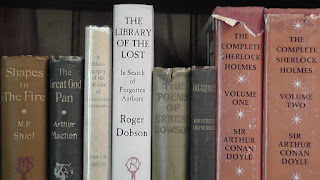 This is a book brimful of Roger's journeys among the byways of books, which will appeal not just to connoisseurs of the fantastic in literature but also to all those who enjoy the quest for the rare and recondite. Update 12 July - now out of print. Thanks to everyone for their interest in Roger's book. One of the most entertaining books I have read this year. Dobson's enthusiasm is infectious and his research impeccable. I have been so looking forward to this since R.B.Russell mentioned some time ago that some kind of tribute volume to Roger Dobson's work was planned. Can't wait to read it.